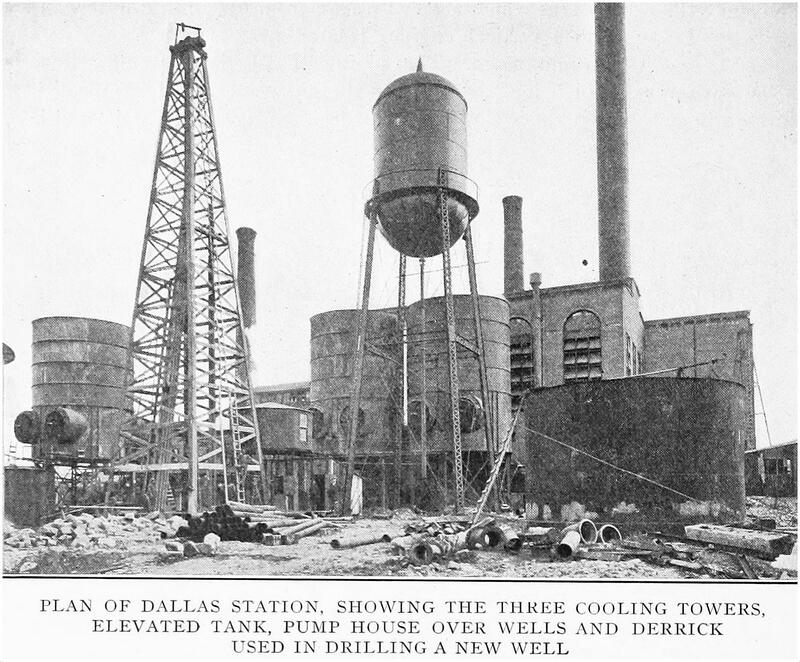 Construction began in 1906 on a new power plant for the Dallas Electric Light & Power Company. 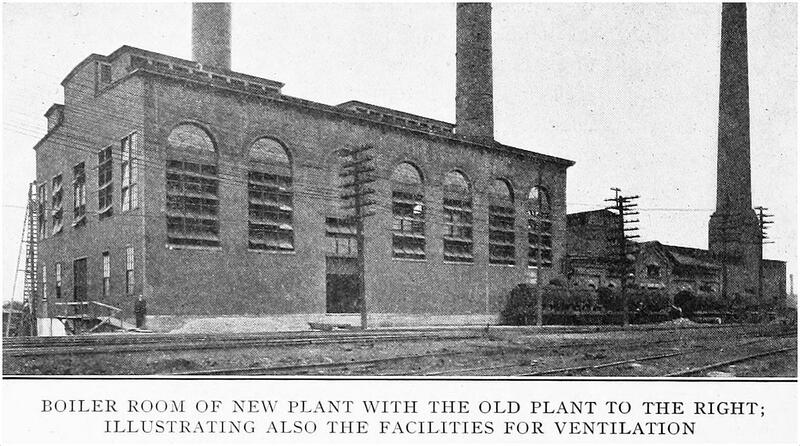 It was built next to the old power plant, and it furnished electricity for the city’s lighting and power needs as well as for its streetcars and interurban cars. When construction began, the project was expected to cost more than $500,000 (over $13 million in today’s money), a large (but necessary) expenditure for the growing city. The power station was northwest of downtown, between the MKT and Cotton Belt and Rock Island railroad yards (approximately where the American Airlines Center is today). Before the Trinity was straightened and moved, the plant was only about half a mile from the banks of the river. 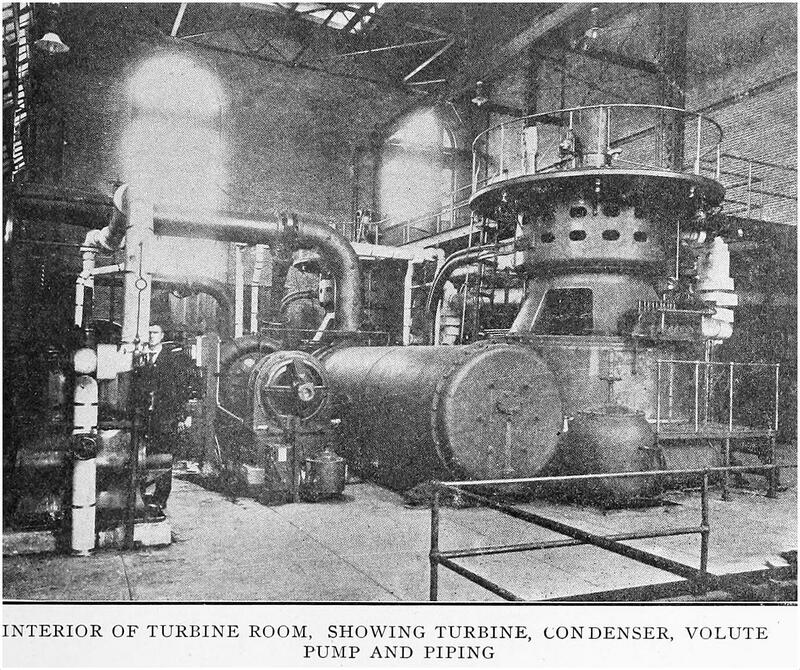 Even though the grade of the new station’s floor was built above the highest flood level, the historic flood of 1908 put the plant out of commission for several days, but — probably because it was filled with brand new equipment — the city’s power was restored much faster than one might have expected. Photos are from the Street Railway Journal, May 18, 1907 (Vol. XXIX, No. 20). To view the entire 7-page article — which includes more photographs as well as several floorplans and schematics, all of which are very cool (even to someone like me who has absolutely no idea of what any of it means!) — check it out, here. My previous related post, “DP&L’s Twin Smokestacks,” can be read here. great story, we had misssed that back in 1999 when it was torn down…this site was where the birth of light came too exist, and how light was so important back then, note the buildings, how old they look event the when they are really just made……i miss that part of town, the dreamy dark world of the industrail side or dallas then and not now….oh well great story, keep up the good work…. I got photos as it was being torn down inn 1999.